What Are the Main Things You Need to Do to Sell Your Junk Car for Cash in Detroit? Selling your junk car for cash in Detroit is easy as long as you follow the following steps. 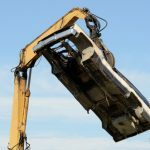 Let us help with the junk car removal. Towing is free. Just the simple act of looking at your junk car on a daily basis can raise your blood pressure and add stress to your life. No, that’s not a medical diagnosis, but car owners who have experienced it know it’s true. Perhaps your car has been in one too many accidents and you’re worried about it staying in one piece on the highway. Maybe it has so many repair issues that you no longer feel safe driving it. Then again, it might not run at all; but you just don’t have the money to fix it and have no clue what to do to get it out of your hair. 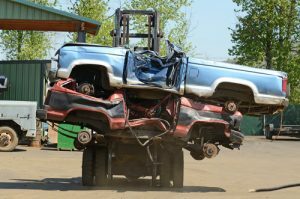 You can easily sell your junk car for cash at Junk My Car Detroit… right after you take care of a few simple things. Just like homes, your car will likely be a reflection of your lifestyle and weekly habits. Everything from kids’ toys and clothes, lunch bags and diapers, and even technology and jewelry can be stored in your car for any length of time. You don’t have to present a spotless vehicle when selling your junk car for cash. So don’t worry if there’s an extra fry container or water bottle stashed under the seat. But you definitely should clean out the important stuff and most of the trash. Once the junk car is transferred and you’re paid the cash it’s worth, it will no longer belong to you. So anything in the car will legally be the property of the Detroit scrap yard. Clean out your car prior to selling it and make sure all your valuables are secure. That can potentially save a lot of stress and headaches down the line. Some states allow junk car owners to prove their ownership via a few different ways. 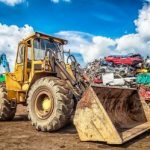 However, the final decision on required documents is made by the scrap yard itself. 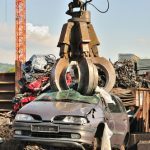 In most cases, especially at scrap yards in Detroit, you must have your valid title on hand to sell your junk car for cash in Detroit. Locate it, keep it on you for the transfer, but don’t worry so much about signing it over. Junk My Car Detroit will take care of that for you so all you have to do is enjoy the freedom and the cash. Retrieving your plates is an especially important step. If you’re registering a new car in your name, you can easily transfer your existing plates to that vehicle. That right there can save you some red tape and money. And if you’re not getting a new car, chances are the SOS will want those plates back. So be sure to remove them because if you forget, they’ll be shredded with the junk car and you’ll never get them back. Also be sure to cancel your insurance prior to selling your car for cash. 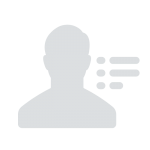 It only takes a phone call, but they’ll continue charging you if you don’t cancel it. Gas is a precious commodity nowadays and an expensive one at that. If your junk car is drivable at all, consider trying to burn most of the existing gas in the tank. If it’s not drivable and you have a siphon, use it. Our Detroit junk car scrap yard in will drain the fluids before scrapping the car, but they won’t pay you more for those fluids. So use up what you can. And when you’re ready to get the cash you deserve, call Junk My Car Detroit for a guaranteed price and free towing.